Intel company regularly removes obsolete or not in demand products from its assortment, and now this fate befalls coprocessors Xeon Phi 7200, code-named Knights Landing. It should be noted right away that Knights Landing coprocessors, which are manufactured in the form of expansion cards with PCI Express interface, went under the knife, while the host processors of the same name, LGA 3647, will retain their place in the Intel range. Note that the first is not released since April this year, and now Intel finally stops their delivery. 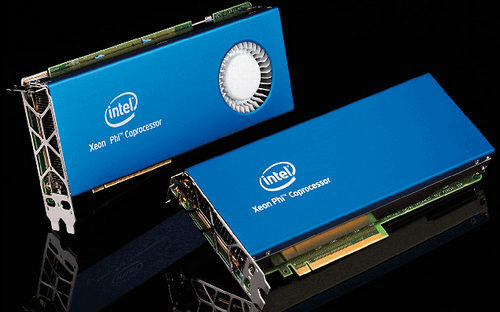 This decision is due to the fact that the Xeon Phi 7220A, 7220P and 7240P coprocessors have not gained much popularity, and were produced in a limited edition, which does not even fall into the category of mass production, and only close partners of Intel used and use them. In turn, Xeon Phi 7200 host processors in LGA performance have gained a high popularity due to higher performance (3-3.4 TFlops FP64 vs. less than 3 TFlops in the PCIe version), and they are still manufactured and delivered.